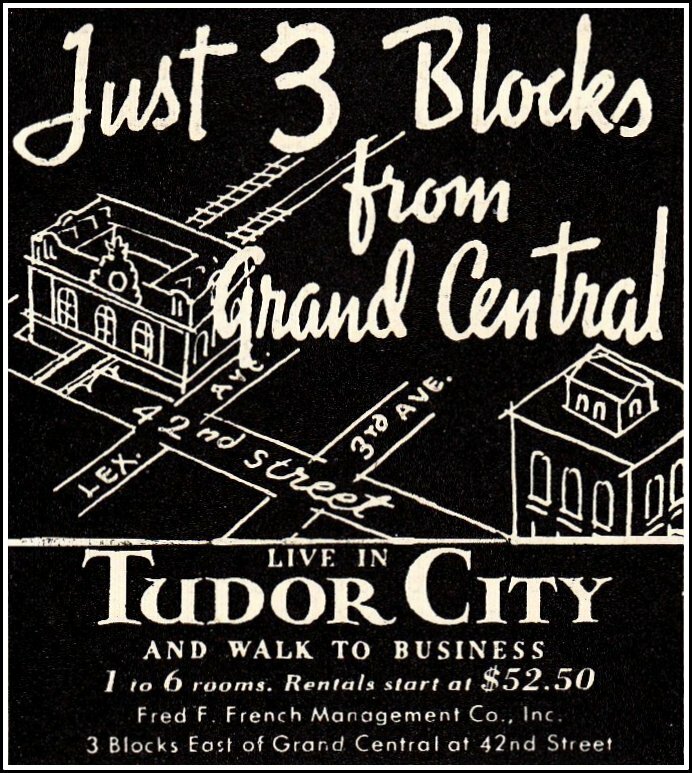 Tudor City and dogs have long had a fractious history. Canines are initially welcomed when the complex opens, but their major drawbacks ‒ barking and pooping ‒ quickly become annoying. Things haven't changed much since. 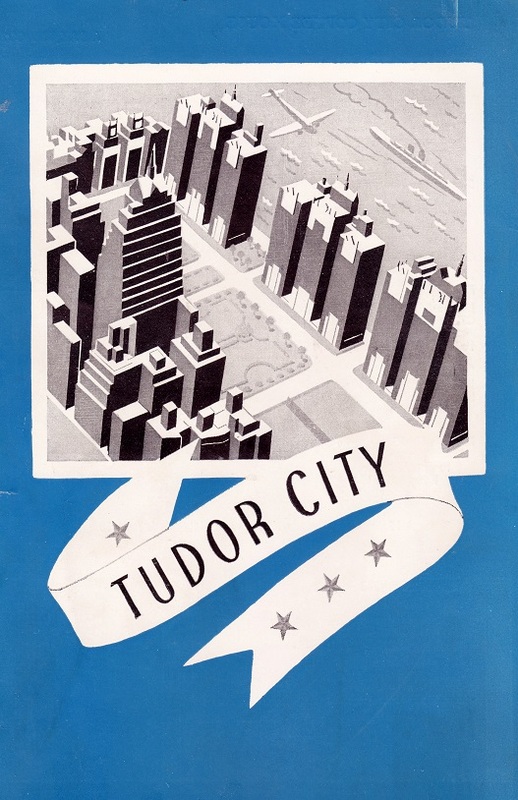 Here, chronologically, the story of Tudor City vs. Dogs. Above, an item from a nationally syndicated man-about-town column. The "airing" sounds like it could be pretty rough on the roof. 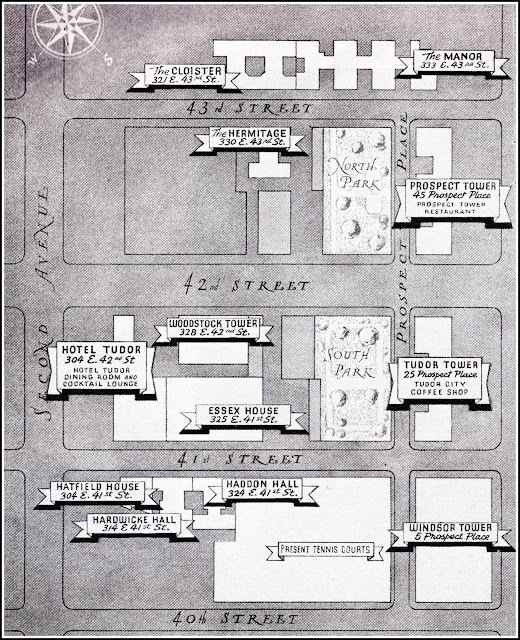 The 1930s is not a good time to be a dog in New York. The Brooklyn Daily Eagle elaborates: "The world is not going to the dogs, in fact it's going against them. The canine society has been much changed by Old Man Depression. . . more dogs have been sent out into the cold, cruel world to shift for themselves than ever before. Lots of folks feel it's tough enough these days for humans to get by without worrying about quadrupeds." 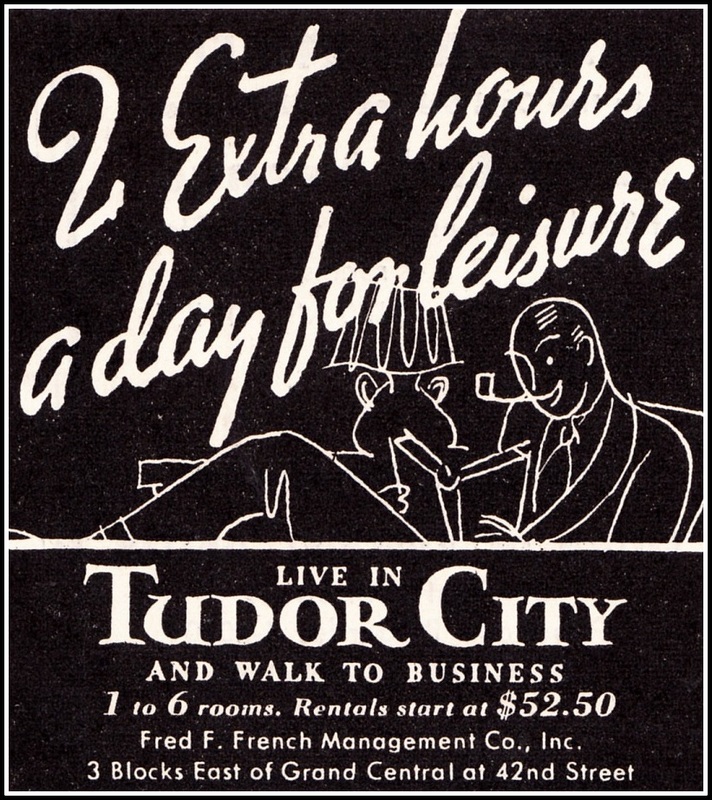 Tudor City bans dogs altogether. "The dog question has risen here in a kind of complex way, and no man knows where it will all end. 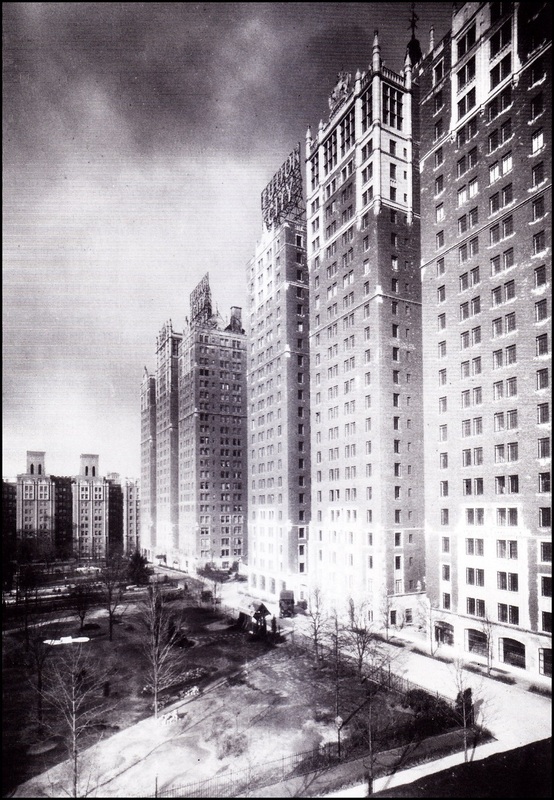 Tudor City, one of the largest apartment house groups in New York, has taken the plunge and ruled that hereafter tenants with dogs will not be admitted.While other major apartment house corporations are hanging back from any such drastic step, as yet at least, most of them are strongly "discouraging dogs. 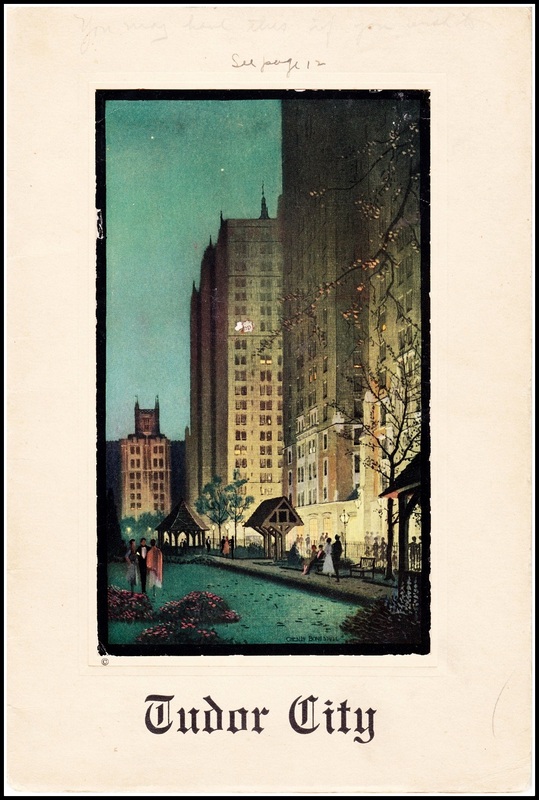 . ."
An unsettling item from celeb columnist Dorothy Kilgallen. 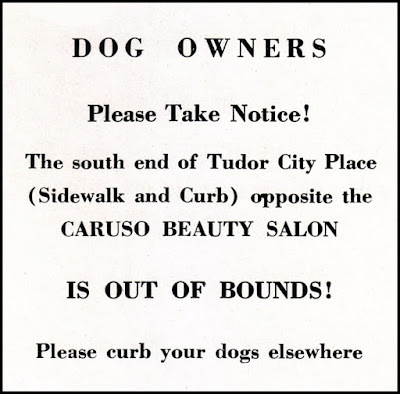 By 1962, curb-your-dog laws with hefty fines are in effect. 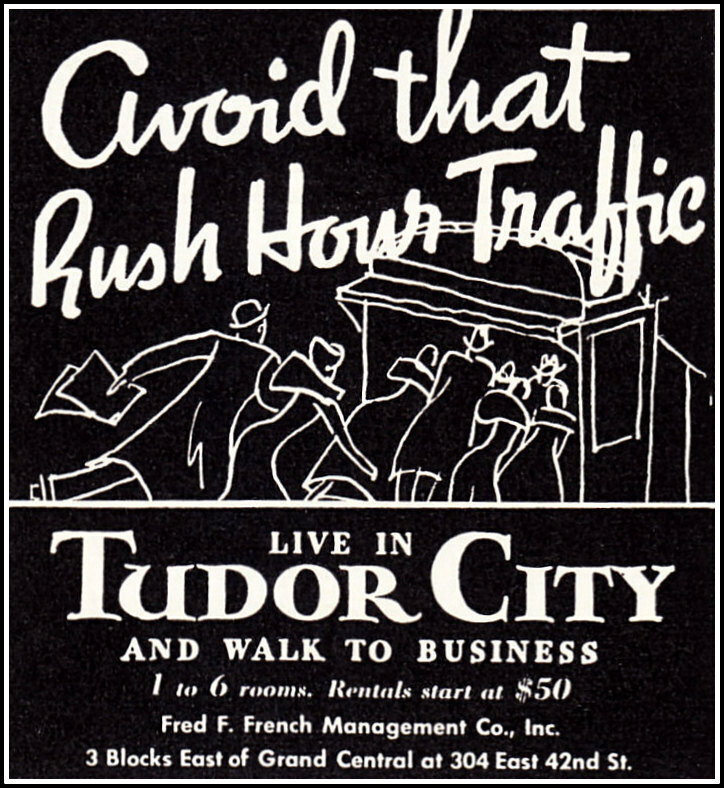 At left, a warning sign in the 43rd Street cul-de-sac. The model is Jean Shrimpton, the photographer, David Bailey, and the image part of the fashion shoot credited with launching the Swinging Sixties in America. More about it here. 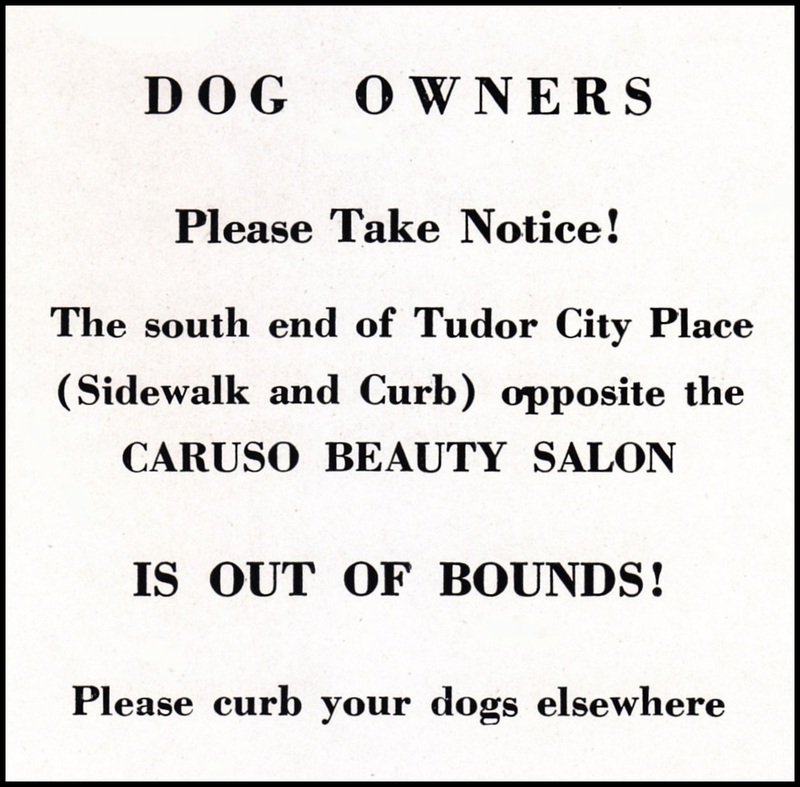 Caruso Beauty Salon ‒ profiled earlier ‒ takes an indignant ad out in Tudor City View. Pooper scooper laws will not go into effect in the city until 1978. For some reason, dogs seem more welcome south of 42nd Street than north of it.